Hotjar is a website analytics and engagement software for marketers and product folks. 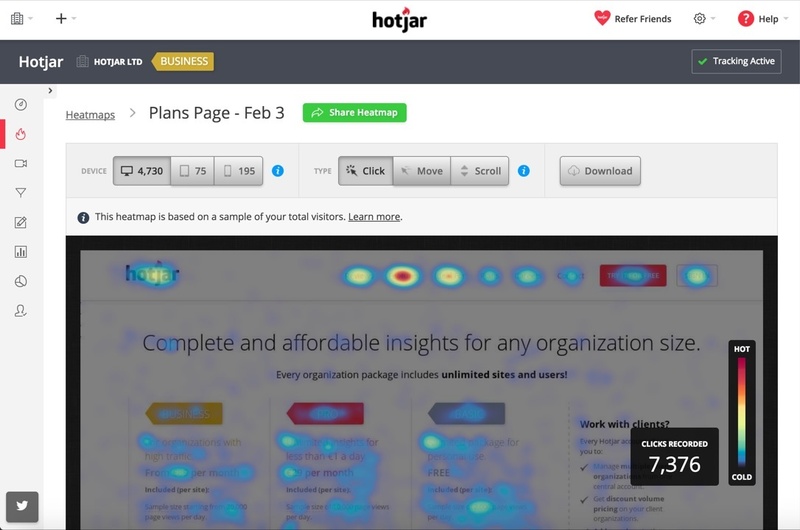 With the addition of one line of Hotjar code to your website, users get access to heatmaps, screen recordings, visitor polls and more. HotJar is a freemium product, targeted at mid-sized businesses and startups. How does Hotjar integrate with HubSpot? 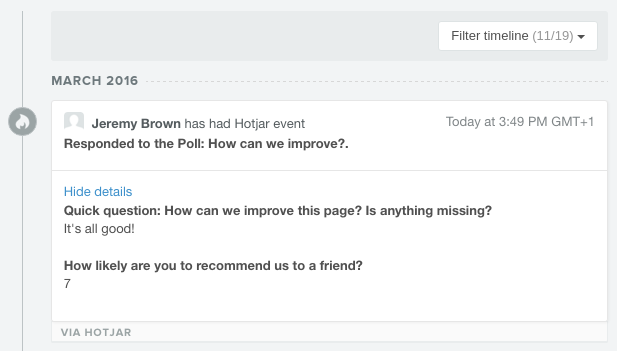 When active, the information gathered from Hotjar polls will be added to the contact timeline of leads in HubSpot. This allows marketers to gain a deeper understanding of visitor and customer feedback by mapping your Hotjar Poll responses to your HubSpot contact records. This integration is avaible for joint cusotmers of Hotjar and HubSpot. Hotjar is a freemium tool, new users who have both can get started here. How might a Marketer us this? The majority of visitors to your site leave without sharing any information. Heatmaps, recordings and polls, give you insights into your customers without them having to call you or fill out a form. Hotjar provides a ton of information on website visitors without them sharing much at all.